Announcement • Beautiful handmade hats for women, expertly handcrafted for style and fit. Kilties for golf shoes for men as well as ladies golf shoes. • Each ladies hat is a unique piece of wearable art and a smart investment, whether looking for a warm and stylish women’s winter hat, a sun hat for protection or a lovely fascinator hat for a weekend event. • Kilties for golf shoes or swing dance shoes are stylish shoe accessories for men, women and children. Kilties are fun to wear, look great and can be worn on any lace-up shoes. Check them out. • Please browse through my "sold" section to see an archive of women's hats. There are many styles available, including women’s fedoras, fascinators, berets and cloche hats. Of course there are wide brim hats and finely crafted straw hats for stylish sun protection. A good hat adds sophistication to everything you wear. • Beautiful handmade hats for women, expertly handcrafted for style and fit. Kilties for golf shoes for men as well as ladies golf shoes. 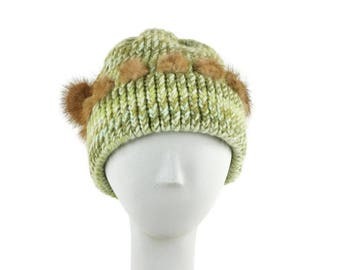 Very attractive and well-made hat! Your hats are amazing creations. Fast service and well packaged—many thanks! Everything was very nicely done. Just finishing up a new straw hat, a sun hat just in time for Spring. Brides Magazine, June 2012, p. 68 That's my CLOCHE HAT! Elegant hats for women, designed and handmade for timeless style and heirloom quality. A well made, hand sewn hat for women is a work of art. Luxurious materials, stylish shape and durable, hidden stitches - all the qualities that hats had back when womens hats were made to last. There are options for every occasion and every outfit. Choices range from fascinators, cloche hats and women’s fedoras, to women’s beach hats, Panama hats and elegant hats for both mother of the bride and wedding guests. If needed I can work with you to make sure that you get a flattering style that you love, a perfect fit, and a handmade hat that can last a lifetime and beyond. I can often adjust a design if you have a specific request or requirement. Custom orders are also possible, so feel free to contact me to discuss a special design. Designing and making hats for women since 1997 and trained at Fashion Institute of Technology, being a milliner is a labor of love. Every womens hat in this shop is completely handmade by me and is a unique design, timeless style and couture quality.